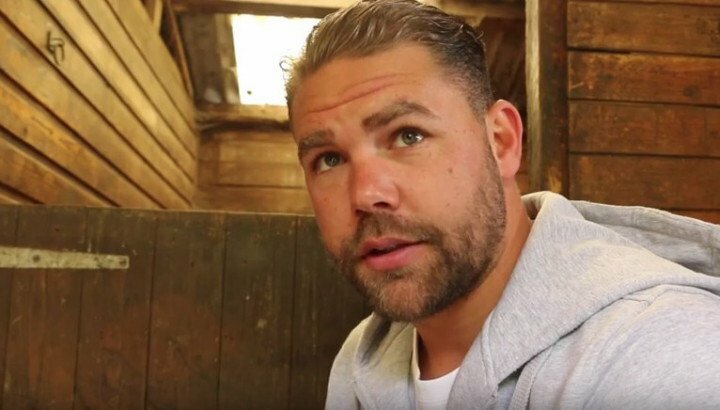 Billy Joe Saunders seems ready to fight just about everyone, at both middleweight and at super-middleweight. The WBO 160 pound champ, fresh off last Saturday night’s brilliant boxing display against David Lemieux, has called out: Gennady Golovkin, Canelo Alvarez, Danny Jacobs and now, as he explained to The Star, a shot at newly crowned IBF super-middleweight champ Caleb Truax. Saunders, 26-0(12) gives Truax great credit for the manner in which the 34 year old shocked his former amateur team-mate James DeGale to take the IBF belt a couple of weeks ago, and BJS says that if he is allowed to keep his WBO belt at 160, he would move up to fight Truax in April. DeGale, a southpaw like Saunders, might get an immediate return fight with Truax, but if not, Saunders says he would take the fight himself. So Truax now has two possible big-fight options of his own: that return with DeGale or a defence against Saunders. Maybe, if he cannot get either GGG or Canelo into the ring, Saunders will indeed move up. We will know more regarding the Truax situation when there is an announcement regarding whether or not DeGale will get that immediate rematch with the man who surprised him earlier this month. But Saunders wants the big fights, and after last week’s great performance, he has earned them. Whoever he fights next, BJS is targeting his return for April. Whether it’s Truax, Jacobs, or someone else, fight fans will certainly be tuning in.